St Luke’s is a music and arts venue based in a converted church in Glasgow’s east end. This beautifully restored Grade B listed building retains the church’s original features and includes stained glass windows and a pipe organ which dates back to the early 1800’s. Also within the venue is The Winged Ox bar & kitchen. The venue was the perfect place to host the launch of Tenement TV’s – The People’s Film Collective – an event where music and movies come together, in unusual places. Music came from Barrie-James O’Neill (Nightmare Boy) and The Bar Dogs. Celebrating the 20th anniversary of its release (is it really that long?!) we were treated to a screening of Baz Lurhmann’s Romeo & Juliet. And when the film reached its tragic conclusion (no spoiler alert – everyone knows how the story ends! ) with Romeo & Juliet dying on a church altar surrounded by candle light – it was fitting that we found ourselves watching the sad scene unfold in St Luke’s. Here’s a selection of photos from the night. Today is Holocaust Day (27th January 2016) and it’s 71 years since the liberation of Auschwitz-Birkenau. The theme marking this year’s day is “Don’t Stand by”. And if anyone could teach us the importance of this statement – it would be Sir Nicholas Winton. A few days ago I watched a film called Nicky’s Family, which was screened at Glasgow’s Film Theatre to a cinema full of secondary school children. A version of this film will be shown on BBC1 tonight at 22.45 pm. 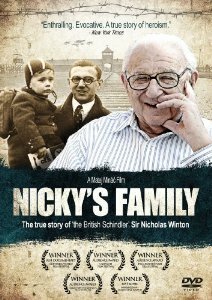 This documentary, made by film director and producer Matej Minac, tells the story of Sir Nicholas Winton, a London-based stockbroker, who became known as Britain’s Schindler. 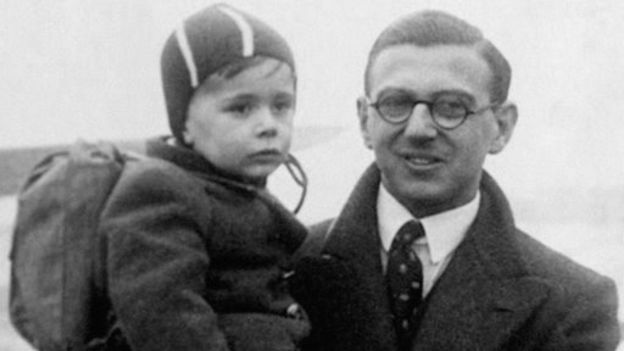 In 1939, aged 28, he embarked on an incredible journey to Czechoslovakia which led him to save the lives of 669 children from Nazi-occupied Czechoslovakia. 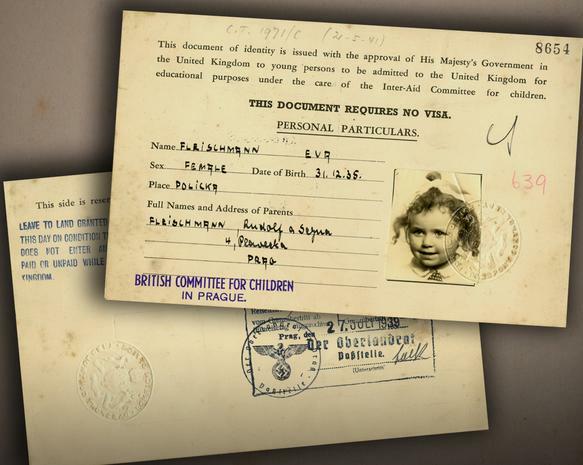 He established the British Committee for Refugees from Czechoslovakia – Children’s Section and he brought children to Britain via train, called Kindertransport, arranging for their adoption by families throughout the country. The film was made in 2011 and it’s a compelling story, pieced together by interviews with some of these children who are now well into middle age. It’s impossible to imagine the trauma these children faced, and now when interviewed, the pain and memories are evident, seen in the tears that trickle down their older, wiser, wrinkled faces. They retell the stories of their parents anguish and heartbreak at putting them on trains to a far and distant land. And when most of those parents faced the Nazi gas chambers, they knew they had done the right thing because they had saved their children by sending them away. Six million Jews died during WWII and the recollections in Nicky’s Family will stay with you. One story tells of a mother being advised to encourage her children to sing when they are in the gas chamber, because singing means increased inhalation and a quicker death. Some of these children who came to Britain were as young as three years old, split up from their families with hardly any possessions in a strange country, but they were given a lifeline. It was heartbreaking to hear that a train was due to leave for Britain on Sept 1st 1939 carrying over 250 children – then war broke out, following Hitler’s invasion of Poland – and everything changed. The train never left and those children most certainly didn’t survive. There were some funny recollections. When the train stopped in Holland the children were welcomed by women in national dress serving hot chocolates and strange white bread – which the children had never tasted before. 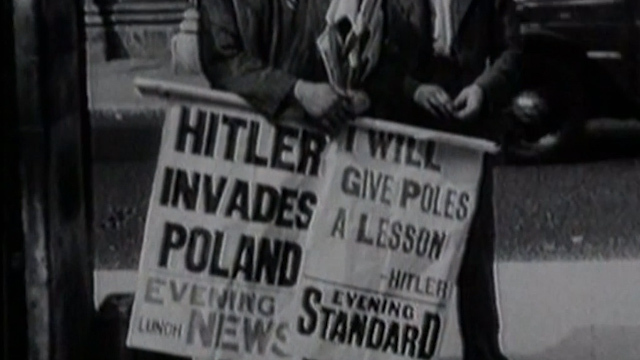 And we learned that Britain in 1939 was a tolerant and compassionate country. Willing to reach out and help. One man told a story of how he arrived in London with his four brothers. It was dark, they had been waiting all day for someone to collect them. A taxi driver took the five boys off the street and back home to his wife, who looked after them. The compassion and tenacity of Winton was inspiring. He was someone who didn’t stand by. He pressed on with his crusade and tried to get as many children out as he could. Often speeding up the process by making up fake passports and papers. When the children stopped arriving after the onset of war, there was nothing else Winton could do. He joined the RAF in the fight against the war. He eventually met his wife Grete, and settled down. He told no one about his past, not even Grete, but she discovered his old scrapbooks in the attic of their home. There were names upon names of children, photographs and documents. Eventually Winton’s story found its way onto Esther Rantzen’s TV programme That’s Life in 1988. Where unknown to Winton, he was sitting in the audience with around 100 people – all of whom he had rescued. One can’t imagine what that must have felt like for him, as he wiped tears away from his eyes, or for those people who finally met the man who had rescued them. He was knighted in 2003 and in Nicky’s Family we also get a sense of his later years, still helping people, finding causes and creating some mischief, being booked for speeding and retaining a sense of adventure by flying in small aircraft. What is most striking though is his humility, he seemed embarrassed at all the attention and we have his wife to thank for bringing his story to us. While this film contains many horrors, there is also a strong sense of hope. The “children” Winton saved – have married, made families, and the generations include grandchildren. Those 669 children have grown to 5,700 people. And so the story becomes Nicky’s Family. Many of these people have found their way into charitable acts and are making real differences to the world around them. And people who have heard of Winton’s story have been inspired to help others. His story is an inspiration. He died on 1st July 2015, the anniversary of the departure of a train in 1939 which carried the largest number of children – 241. He was 106. This film was shown at the Glasgow Film Theatre as part of Holocaust Day. And there was also a Q&A session afterwards with 92-year-old Henry Wuga. 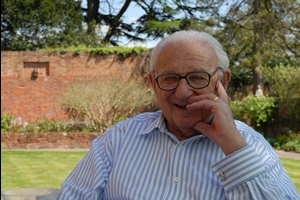 Henry came to Scotland aged 15 via Kindertransport system. He eventually met his wife Ingrid, in a refugee club in Glasgow’s Sauchiehall Street. They married in the synagogue at Pollokshields on December 27, 1944. His recollections were fascinating and he received an MBE in 1999 for his work with the British Limbless Ex-Servicemen’s Association. A keen skier, he only stopped skiing last year, aged 91. He trained ex-soldiers who have lost limbs to slalom down slopes, as well as raising tens of thousands of pounds for the charity. Henry emphasized the importance of reaching out to people and helping, “it’s so important” he said and it really does make a difference. Don’t Stand By. Quicker than a swirl of a lightsaber, the country has embraced the Dark Side. The hotly anticipated Star Wars: Episode VII – The Force Awakens has opened with gross earnings estimated to reach £1.3 billion. 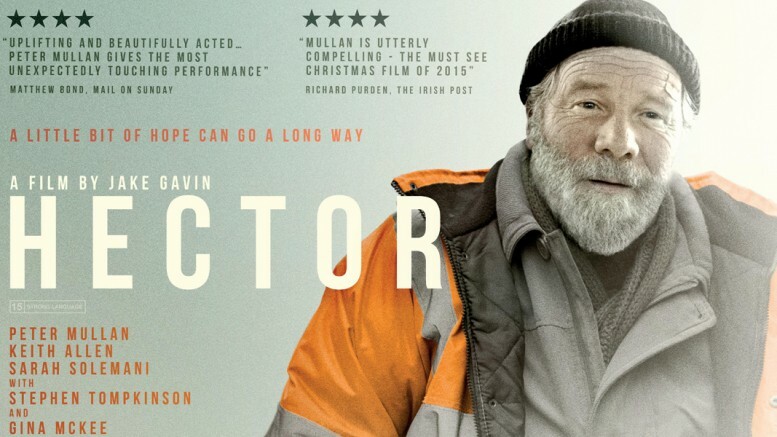 So on the weekend of the film’s release, I duly went out to the cinema – but not to see the fate of Han Solo – I went to see the heart-warming Hector, a film about a Glaswegian homeless man. Hector is the directorial debut of Jake Gavin, known more for his photography skills. But on this showing, a bright film career beckons. The film has already been hailed by some as the best Christmas movie this season. And this is a film that makes you count your blessings and instills a will to help those less fortunate than yourself. It’s not a shiny, sugary sweet fairytale but a story with a sharp gritty realism and grim settings. 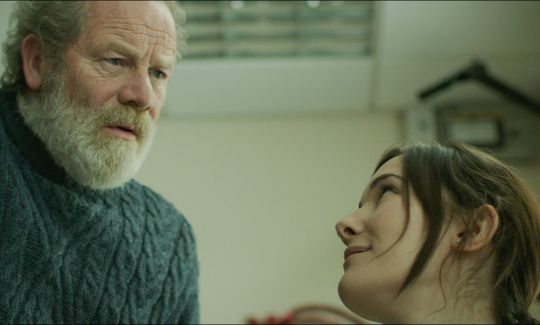 We follow Hector’s journey, and he’s sensitively and expertly played by Peter Mullan. The Glaswegian actor is known for playing some down-right nasty characters. I only saw him in Sunset Song, just a few nights previous – where he was Chris Guthrie’s brutal father, a heinous hateful man with a heart full of demons. But here as Hector, Mullan shows an understanding and a softer touch. 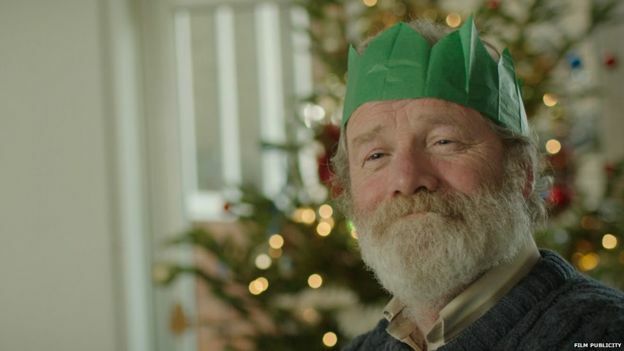 With a worn face, grey beard and with sometimes twinkly blue eyes, I would actually like to see him play a modern day Father Christmas in some kind of alternative festive story. But as Hector, he’s a man who’s been dealt a hard hand from life, and his back story unravels during his journey from Glasgow to a London homeless shelter to attend an annual Christmas dinner. The film is a stark reminder that for some people life cruelly snatches away those things we hold dear, and the phrase “there but for the grace of god, go I” springs to mind. Hector and two of his homeless friends, joined by a dog called Braveheart, are sleeping where they can, in doorways, in toilets and under cardboard. There’s the everyday practicalities of being homeless, trying to keep clean, keep charge of your worldly possessions (thugs mug Hector and try to steal from him), and get access to medical help. Then we join Hector on his journey. He’s suffering from ill-health, limping and using medication to keep pain at bay. There’s lots of motorway shots, as he hitches lifts, and we see the kindness of strangers. The high-vis jackets that “fall off the back of a lorry” and into the hands of the homeless, the church who gives him shelter and the cafes who feed him. There’s the down points, as Hector tries to reconcile with his estranged family, after he “gave up on life” and disappeared for 15 years, and there’s also the fate and desperation of his homeless friends, Dougie played by Laurie Ventry and the young 18-year-old Hazel, played by Natalie Gavin. When he gets to the London shelter we meet Sara, who works there, played by Sarah Solemani. She appears like an angel, a wonderfully kind, non-judgemental and humane character. 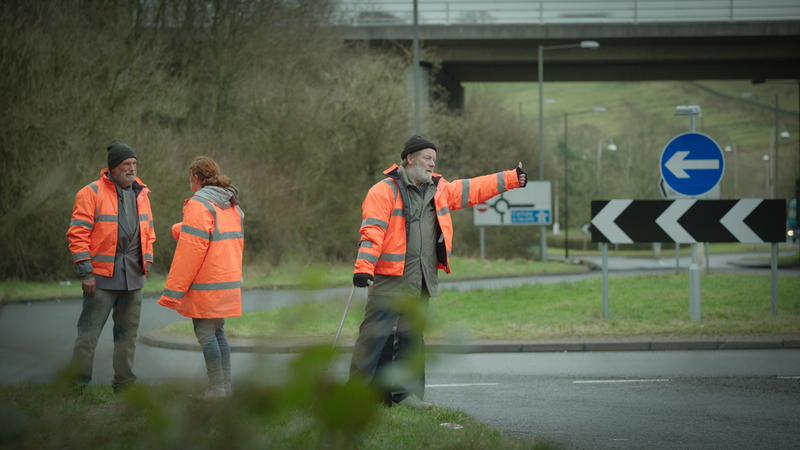 At the shelter we see various sides of homelessness, from the young boy, to a drop-out priest and an injured soldier, to the chancer-like Jimbo – played by Keith Allen – who turns in a good job in this role. We don’t know their back story, but we still wonder what led them to where they are, and what their fate will be. The men are treated with care and respect and receive the things we take for granted. Hot water, clean clothes, a bed and a hot meal. And I defy the hardest heart not to break down when a male choir sings a rendition of Abide with Me, to the men who sit quietly with their own thoughts. This is a sensitively put together film which puts the plight of homelessness to the fore and challenges some perhaps pre-conceived perceptions. It will also make you want to help others and I hope it leads to some charities receiving more help. There’s lots of great organisations around the country. The Christmas appeal from Glasgow City Mission has the tagline “Love Changes Everything” and you can donate £7 to give a homeless person a Christmas meal, while £22 will feed and support a homeless person for a month. and there’s still time to buy into the Social Bite Itison deal, it runs until 22nd December. Donate £5 to help feed a homeless person at Christmas and also help refugees in Europe. I also love the good work of the Rucksack Project, where the Glasgow arm of this is organised by Lorna McLean. Thousands of rucksacks have been donated and delivered to help those in need. If only we could brandish a lightsaber and solve the world’s problems, in this universe and in any universe, no-one should be sleeping on the streets. Your new film ‘Hector’ was out last week; ‘Star Wars’ was out this Thursday. That’s big competition. Why should we see ‘Hector’? When it started off, Star Wars was about the little people taking on the Death Star and now it is the Death Star. So go and see little independent movies in protest against the Death Star. If you really want to help Luke Skywalker, go see Hector. 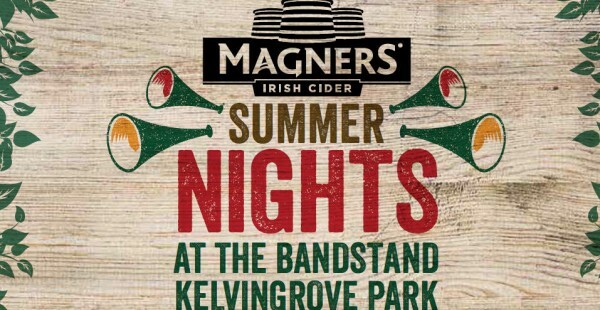 In a disappointing summer, a surprisingly almost balmy evening greeted the Magners Summer Nights sessions. It was a perfect landscape for this sepia-tinged nostalgic evening. 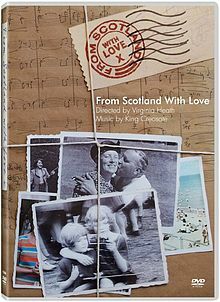 There was a viewing of the film From Scotland With Love with a musical backdrop performed live by King Creosote. The film is a cinematic patchwork quilt of old black and white film showing Scotland and its people throughout the decades. We see people at work and play. We are reminded of many of our now defunct industries, the lifeblood of which ran through the country’s veins. It was a time where work was hard, physical graft, but as people worked hard, they played hard too. Often they were saving all their time and money for those precious days away on Scotland’s packed coastlines. And it’s where we see the beauty pageants, the men and women dressed up smartly in their best clothes, queuing for ice creams, building sandcastles, swimming and frolicking on sandy shores. 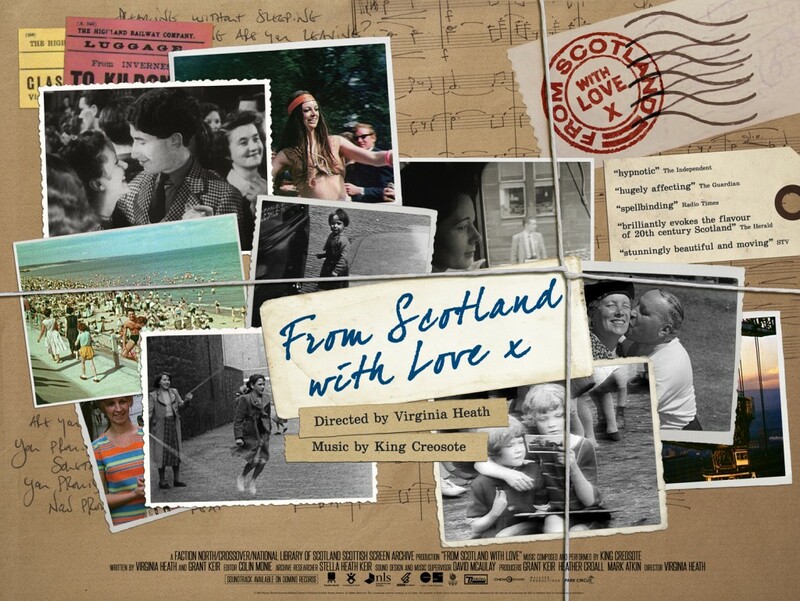 The team behind the film includes director Virginia Heath, producer Grant Keir, editor Colin Monie, while Fife’s King Creosote (Kenny Anderson) composed a gorgeous soundtrack which gives a voice to the footage. There’s songs like Pauper’s Dough which accompanies scenes of manual labour, protests and riots, and the words “You’ve got to rise above the gutter you are inside”. One Night Only is a rollicking romp through people at play and although it’s all light-hearted fun, as with most King Creosote lyrics, there is a dark edge, and an air of added mystery as we search for the character in the line “Wayne is appearing for one night only”. And he could be anyone lurking in the shadows, standing observing from afar or mingling among the crowds. Director Virginia Heath was commissioned to create this documentary film to coincide with the 2014 Glasgow Commonwealth Games. It’s an excellent piece of work backed by a sensitive soundtrack. Both are available to buy and come highly recommended. It’s not often you get the chance to see a real Hollywood legend being interviewed in front of a live audience in Glasgow. The tickets were expensive, but highly sought after. Al Pacino is 75 and wearing well. He counts Johnny Depp as a good friend and looking at him, you imagine he adopts the quirky younger actor’s dress sense, as the large screen behind him allows glimpses of his hands which are adorned with clunky rings. We went back to Pacino’s upbringing in the Bronx where he would reenact various movie roles for two aunts, one of whom was deaf. We heard how Francis Ford Coppola was adamant that the then young unknown Pacino would star as Michael Corleone in 1972’s smash hit film The Godfather, much to the bewilderment and annoyance of Warner Brothers. Pacino himself wanted fired from the movie because he wasn’t enjoying filming and the feeling of not being wanted. However, it turned out that Pacino’s portrayal of Corleone showed a canny character interpretation which he had taken from the book by Mario Puzo on which the film was based. The producers were finally convinced after they saw him act out the restaurant scene when Corleone kills Virgil Sollozzo and Captain McCluskey in cold blood. There was a lot of good-natured and impromptu humor too, as Billy Sloan set up the questions and allowed Pacino to go full flow from one engaging story to another, occasionally gently reining him in and prompting him in another direction. 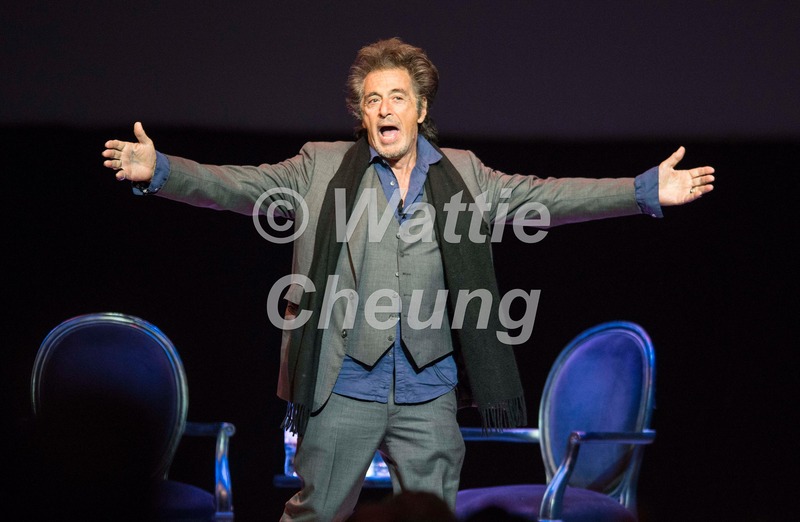 And Pacino proved an engaging and entertaining story teller. There was the first meeting with his idol Marlon Brando, who had a disconcerting way of eating chicken with his fingers while simultaneously chomping and chatting, with hilariously messy consequences. Then there was the time Pacino left the studio while filming Serpico, and hadn’t quite left his character behind, because he tried to pull another car over for creating too much pollution. He said he was still waiting for Harrison Ford to thank him for his career because Pacino turned down Star Wars. And who does the best Al Pacino impression? Kevin Spacey does a good one but according to Pacino, it’s his pal Johnny Depp. The audience questions were at times cringe-worthy but when asked what young actors would still be around and being afforded the same adulation – he singled out a few – namely Johnny Depp and Leonardo di Caprio, although he admitted it could be argued that they are not really “youngsters”. From gangsters, to cops and the romance of Frankie and Johnny to the role of Lieutenant Colonel Frank Slade in Scent of a Woman, which won him the long-awaited Oscar, he rightly has legendary status. Movies aside, he makes no secret of his love for theatre and writers such as Shakespeare and Oscar Wilde. And it was good to see an acting legend displaying his craft. Pacino read a section of the Mamet stage play American Buffalo, which he performed in London in 1984. Even better was his recital of The Ballad of Reading Gaol by Oscar Wilde. Bringing us up to date, he also discussed movie Danny Collins which was released around the time of his tour, where he plays an ageing rock star. Music can make a movie. The right choice of music in a film can reduce you to tears in the first quiver of a carefully placed violin string. At this year’s Celtic Connections festival in Glasgow, composer Craig Armstrong showed how music can complement the silver screen. His concert at the city’s Royal Concert Hall displayed his compositions against a backdrop of the movies his works have featured in. 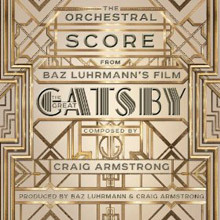 Armstrong is the man Baz Luhrmann calls upon to wave a magical musical wand over Hollywood blockbusters such as Romeo and Juliet, Moulin Rouge and The Great Gatsby. As we watched film clips and listened to Armstrong playing piano accompanied by Scottish Opera’s Orchestra, he took time out to highlight other talented musicians, such as Clio Gould who played violin on The Great Gatsby. Other films featured were The Quiet American and Peter Mullen’s Orphans as well as Oliver Stone’s The World Trade Center with cellist Alison Lawrance performing solo. Films scores withstanding, Armstrong has his own works, with collaborations throughout the years including Jerry Burns and Elizabeth Fraser. His latest album, the sublime It’s Nearly Tomorrow, includes vocals from Jerry Burns, who also joined him on stage during this Celtic Connections performance. And when the songstress took to the stage, there was an air of anticipation. Burns seemed slightly nervous during This Love, taken from album The Space Between Us, but when she sung Dust from It’s Nearly Tomorrow, she was totally at ease and it was truly magical. Another highlight of the night was Love and Money’s James Grant who performed a cover version of Nat King Cole’s Nature Boy, a song which was used in Moulin Rouge! Grant’s version rumbled with a deep soulful timbre scaling the heights to a cinematic explosion. The effect was out of a James Bond movie – think classic Shirley Bassey sending shivers up the spine with her 007 signature themes. Jerry Burns and James Grant also collaborated on Powder from It’s Nearly Tomorrow, their very different voices complementing each other. Vocalists Katie O’Halloran and Lucia Fontaine also shone on One Day I’ll Fly Away and Crash. 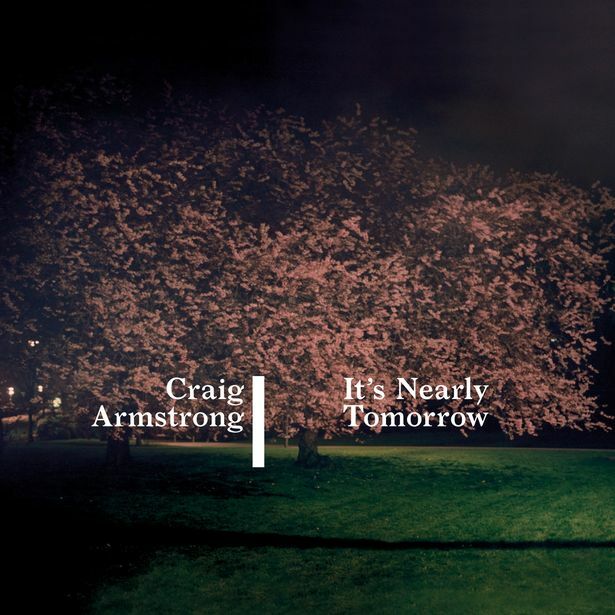 If you haven’t already bought Craig Armstrong’s album It’s Nearly Tomorrow, it is highly recommended. You can also hear his works throughout the Thomas Vinterberg adaptation of Far From The Maddening Crowd, released in May 2015. Setting music to film also played a part at the Glasgow Film Festival, during an evening entitled A Night At The Regal, held at Glasgow’s 02 ABC. This was an eclectic mix of music which included John B McKenna of Monoganon singing along to a home movie of himself as a toddler, his face illuminated by torch light, an experimental set by Edinburgh based eagleowl and Joe McAlinden singing vocals for Edit, a thought provoking short film. 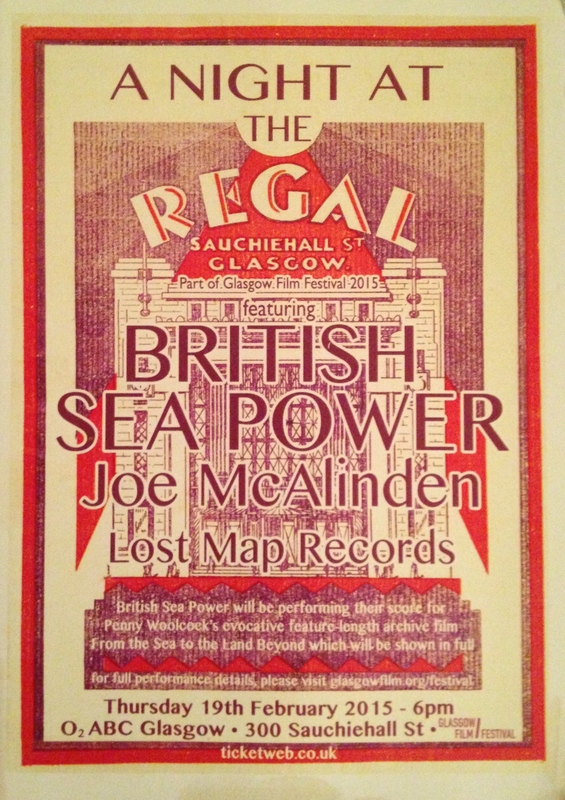 Headlining the night was British Sea Power, who faced the screen and sung vocals to Penny Woolcock’s movie From The Sea To The Land Beyond. It’s film which is a British social history lesson depicting everything from industrial heavyweights such as oil refineries and ship building to British holiday-makers frolicking on sandy beaches. 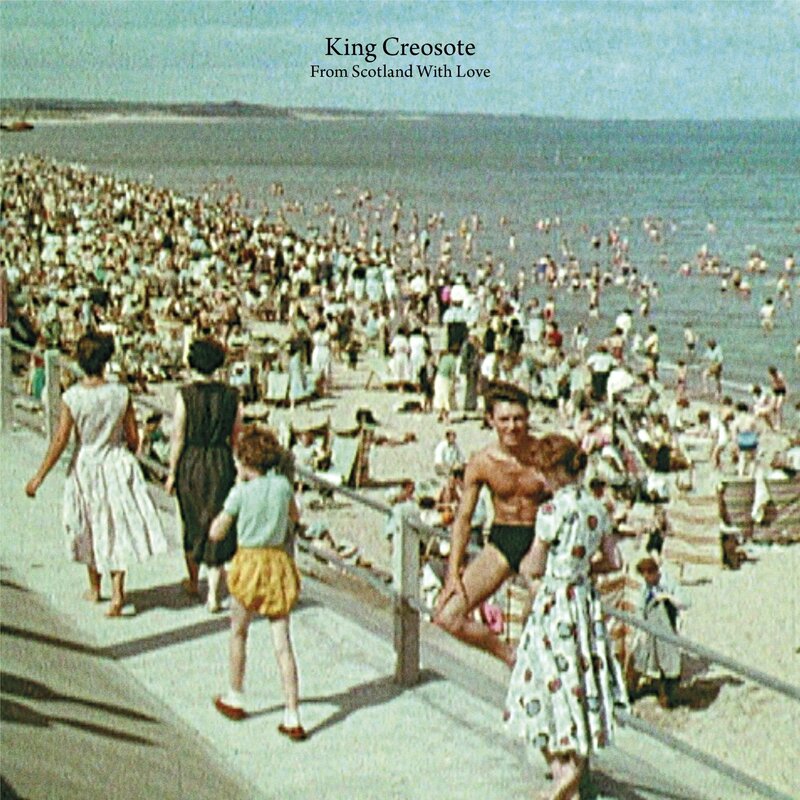 The film footage is captivating as it passes through the decades and British Sea Power’s music proved a perfect fit and conveyed all emotions from the carefree holiday makers skipping on the beach to the heavy industry of the sea. At this year’s Oscars, the award for the Best Picture looks like being hotly contested between Richard Linklater’s Boyhood and Birdman starring Michael Keaton, but could a film about jazz drumming sneak in and win the coveted award? 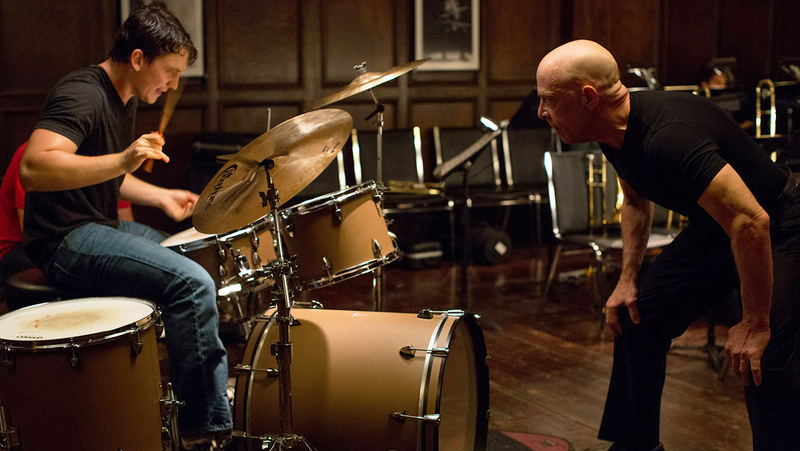 Damien Chazelle’s Whiplash is a thrilling tour de force. The film has already seen actor JKSimmons win a Golden Globe and a Bafta for his portrayal of bullying music teacher Fletcher. He is also tipped to win one of the five Oscars for which the film is nominated. It’s a film that had trouble getting out of the starting blocks as director Chazelle struggled to get support for a film about jazz drumming. Initially the film was made in a short version. The main focus being the relationship of the two characters, teacher Fletcher and student, Andrew, played with aplomb by Miles Teller. There’s a quick fire intensity and interplay between the two, and the film becomes a gladiatorial battle, as the camera switches like a tennis match between the two main protagonists. A former musician, Chazelle says his film is based on a teacher he had when he was a drummer. Some scenes are simple but highly effective. It’s the close attention to detail. The camera focuses on Fletcher’s perfect shiny black brogues as they approach the classroom. The sound of his rhythmic footsteps ricochets down the long corridor. You shrink in you chair and feel the impending doom. A surprising subject for an Oscar winner perhaps but a film that’s excellently crafted and well worthy of accolade. It may just sneak in on the grand finale with a jubilant drum roll.